Riding out on a horse, in a star-spangled rodeo. Much of central and northern Argentina is pampas…long stretches of flat, flat grassland punctuated by estancias and small towns. In the late 1800’s these fertile grasslands were ruled by gauchos. These South American cowboys are held in folklore much like their North American counterparts. Quiet, stoic, and proud, they were nomadic cattlemen back in the day. Today, they still work the land and maintain some of their mystique, but less so. 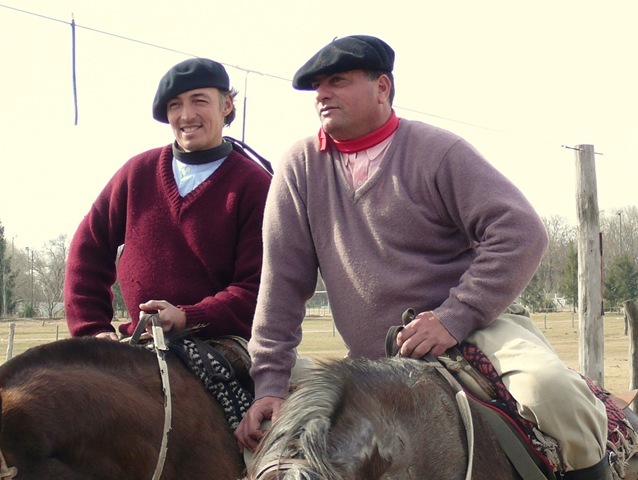 Our base is in Buenos Aires but we have had a couple of opportunities to experience the more rural aspects of Argentinean life by traveling just outside the city limits.